Here at The Bliss Institute we attempt to flow with the seasons. Letting the energy of that space and time lead our actions and intentions. Depending on where you are located your immediate surrounding environment will effect just how you connect with that season at that time. Even as you travel this will effect your connection with the world around you and how you may best operate at that time. Here I will quickly outline one way to flow with the seasons. 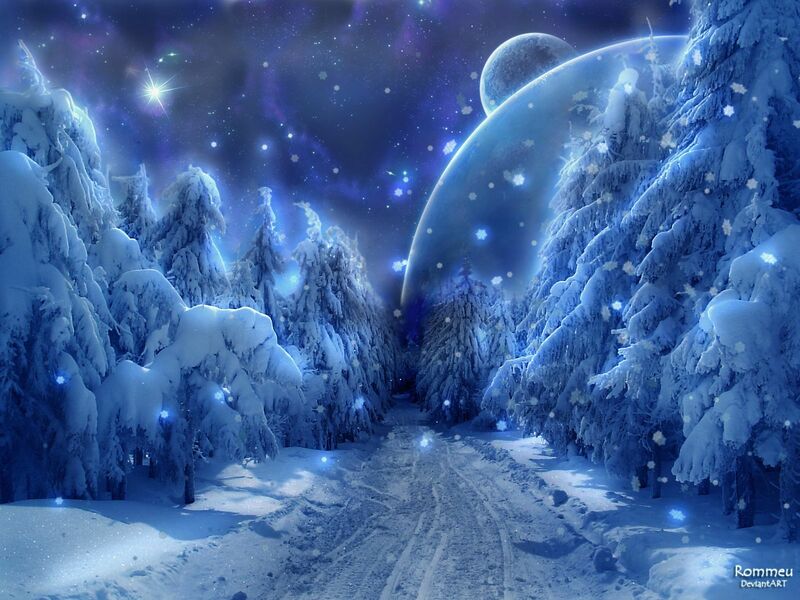 Winter – A time of rest to determine your intentions, hopes, and goals for the upcoming time of movement. Time to heal, do inner work, shadow work, and get in touch with your emotions.Working out plans, gathering information, putting the information together so that you can act soon, that’s what winter is all about. According to the Chinese five elements system winter is associated with the element of water. Water is a conduit of energy associated with adaptability and fluidity due to its ability to shift it’s physical form depending on the environment in which it finds itself. Water is an abundant element within our world. It makes up the majority of our body and planet. How well do you understand yourself in relationship to the water of this world as well as your body? During the winter months it’s recommended that you study the element of water. Spending time in nature also lends many lessons to life. As the world is in hibernation appearing to be inactive we are drawn to better understand ourselves as well as the world around us. Although it seems that the world is still during this time Earth is actually being quite active growing within its womb the manifestations of life to come forth during the rest of the year. Have you ever watched a seed grow? Have you seen how the warm earth combined with the moisture of the soil interacts with the needs of the seed to slowly pull the life from within it’s cocoon. Continuing to hold it in the safety of its warmth, Earth nurtures that life until the world above it’s soil has shifted to providing warmth again from the sun. See, during the winter the Earth holds the heat. It is the provider of life which is why we must begin to honor the Earth just as much as we give thought to the power of the sun. Over the years we have shifted our attention and respect away from the Earth and its feminine energy to the Sun and the masculine. If this power were given equally then our world would be in a delightful state of balance yet we shy away from the Earth’s time. Learn to love the Earth particularly during the colder months is one way to access the feminine and to understand how she functions, loves, manifests, and creates change. Those who follow a Wiccan or Celtic path may honor the new year during Samhain as that is when the veils between the worlds are thinnest. As a Priestess of the Dark Goddess though, winter solstice is the perfect time to commune with the spirits while you are within their realm-the underworld- to determine what is coming forth for you in the next year. As the longest night of the year, this is the time when you are in the depths of the underworld closest to those who are no longer on this plane. I enjoy using a tarot deck generally for a Celtic cross spread in order to understand the main focus of the upcoming year. Then I use a divine feminine and masculine oracle decks for a seasonal spread to get an idea of what my main focus for each season will be. This fall my focus is Authenticity for example. I then at every new season pull cards and do a reading for each month in that season. It allows for me to remain engaged in my spiritual practice throughout the year without getting overwhelmed with a large ritual every time the season changes. Spring– Time to begin planting the seeds for what you would like to harvest through out the year. The plans that you developed in the winter holds the key to the first steps to take for the intentions and goals that you would like to accomplish for the upcoming year. Spring is when the world in the Northern hemisphere begins to awaken again. The buds of the earth are breaking forth from the dark cocoon of the ground to grace the world with their colors and life giving fruits. In the spring, the myths of the world note that this was the return of the Goddess from the underworld to our plane. Persephone, named Queen of the Underworld would rise from her kingdom to uphold the agreement made between the Gods. In Sumerian myth Inanna, the Goddess of Heaven and Earth, travels back from her sister Ereshkigal’s Underworld where Inanna’s body had only just risen. The lessons and portions of your being which you incorporated during the dark portions of winter are ready to begin to come forth. The wood element is associated with spring time according to the Chinese system of elements and rules the gallbladder and liver. Wood represents all the living things of the physical world, the trees and plants which make up the life and communication system of our planet. Wind is the force that moves the element of wood, spreading seeds of change and blowing out the darkness of winter to reveal the light of spring. Our ways of dealing with conflict through anger or excessive force are points of interest for the wood element. If you find yourself getting angry easily, being prone to violent, then you may need to mediate on the element of wood. Spring is a time for renewal and love which can calm any force. Tap into love and see how it fuels your growth during this period. Above all spring time is a time for cleansing and clearing out our bodies systems, thoughts, and physical environment. In order to have room for growth we must clear away what no longer serves us. Summer time and the living is easy…well for some of us at least. The sun is bright, the world is green, and the days are long. This is the time of movement and action. Those plans that you planted the seeds for in the spring are starting to bloom into a bountiful harvest. Now is when you must cultivate and nourish these intentions. Use your will and strength to create your desire and see them come forth. Fire is the element of this time of the year appropriately attributed to the heart and small intestines as these are the engines which keep our bodies in motion. Fire is light, heat, and the energy of creation through destruction. It fuels so much of world providing warmth so that we are able to grow. The flavor of bitter comes forth in this time as the means to help us navigate away from things that are unpleasant or unwanted. It sparks the recognition of balance for us between fire and water. We are encouraged to eat cooling foods which will bring balance to the fire within our beings at this time. You may want to abstain from partaking in foods altogether at this time through a fast or just in lightening the amount of foods that you eat. With all the actions that we are taking during this time it gives us peace and support to have a way to fuel these fires in a cool way. Here we are in the area of ying, of movement and masculine energy. This time is a means to understand love and joy. Do you find yourself feeling love, experiencing love, giving love? Are you joyful? Do you feel joy more often then fear? Where is your balance? Summer is the time to cultivate and find the love that you desire. Feel it, nourish it, believe in it and never let go of that faith. As the longest day of the year, during the summer solstice we are called to recognize the balance of our world through the masculine framework. We pay tribute to and recognize the Sun as the heat which lovingly calls new life from the depths of the feminine earth forth. That which encourages exploration and movement to create. Day long celebrations are observed in many traditions with bountiful feasts rich in seasonal summer foods. The fires of this time go well into the night with large bonfires complete with yummy treats. The story of Osiris in the Egyptian mythology is a beautiful way to observe the summer solstice as it includes the continued role of the feminine in creating a full cycle of both life and death. The masculine is never enough on it’s own to create thus it must have the feminine to assist in it’s balance and organization. Set and Osiris represent just some of the different aspects of the masculine. The drive to destroy/create, life/death, power and force. As much as there are dark and light in all this exists for the masculine as well. The myth of Osiris relays the need to balance out the light and dark, through recognizing that the light will always return. Late Summer- During the last few weeks of summer there may be an intense moment of heat/summer light. 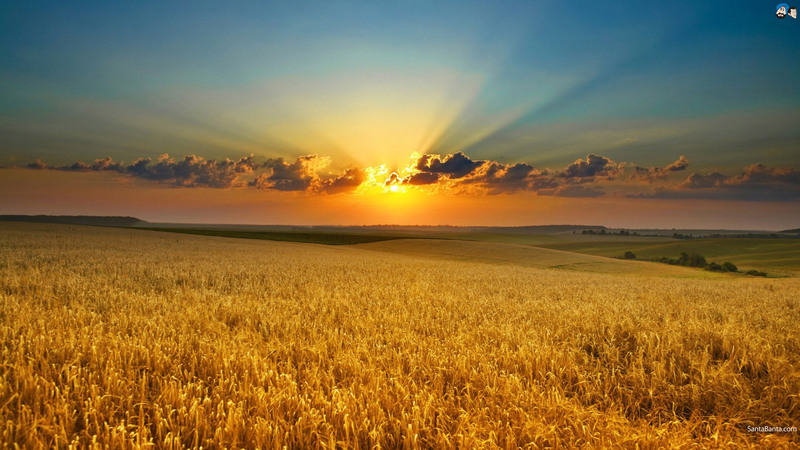 This is the time during which the earth element is at it’s finest and beginning to relinquish its harvest to us. You may be beginning to see the first signs of the fruits of your labor. All that energy that you have put out is coming back full force in a might wave of affirmation. Let this splash of heat burn away the last bits of limitations, doubt, fear, and sorrow. Rise like the phoenix, letting the earth that nurtured you so well fuel your flight. Take in the bounty of fresh fruits and vegetables that are plentiful at this time with the ability to be eaten without being cooked as they hold their own life within themselves. Autumn – What a beautiful time of the year when the world has been scorched clean and is preparing to rest for regeneration. The world is again at a balanced state with the day and night again being of amounts. Yet this energy is distinct from the spring time as it marks the rise in darkness and decline of the light. Everything is beginning to slow down from the activity that was present during the summer. As such you may be feeling the need to slow down a bit as well taking in the last bits of sun before the weather truly begins to cool. Leaning towards spending more time indoors as the energy shifts from coming from the sun to being generated by the Earth that grew from the suns rays lovingly holding that heat for us until we release it through transmutation. This applies also to the foods that we consume at this time. These foods are rich and heavy because of the density of their energy that is packed tightly in order to give this energy to you through integration from being eaten. The element of Autumn is metal within the Chinese system and although there is no air included in this framework metal holds many of the same characteristics. Metal is associated with the nose and the sense of smell. The air holds life just as much as water, wood, fire, and earth. Air flows bringing subtle or drastic winds of change to us all. Sweeping away our completed works and driving us to come within from the coming chill. As such the focus is on the lungs and large intestines during this time. Breath rules these areas as the air gives life to fuel the rest of our body as well as move the waste from our lives through the large intestine. If you find yourself feeling sluggish it is never to late to release. Breathe deeply through one of the many forms of meditation that exists such as walking, mindful activities, breath work, or dream work. My favorite myth associated with entering the underworld is that of Inanna who has been mentioned here before. Inanna is the Queen of Heaven and Earth. She rules focused on achieving what she wants when she wants it which is generally in alignment with the greater good for humanity. Now as she likes to get what she wants there’s an interaction that she becomes involved with that has the result of the death of her sister Husband the God of the underworld. Inanna, being Inanna, decides that she will go to the underworld to visit her sister Ereshkigal to pay tribute to her fallen husband. But no one enters the underworld by choice and certainly no one returns. So Inanna develops a plan, she asks her most trusted handmaiden Nenshubur to come with her to the gate to the underworld where she will wait for Inanna to return.If Inanna does not return within 3 days Nenshubur is then to go seek help from first Enil Inanna’s grandfather then Nanna, Ianna’s father and lastly Enki Inanna’s uncle. Inanna then makes her descent. Through the seven gates of the underworld Inanna travels leaving one of the 7 Sacred Me’s at the gate. These are the portions of herself being connected to her power and position as Queen of Heaven and Earth. Finally stripped bare and bowed low Inanna enters the underworld where the Annuna or judges of the underworld pass judgement on Inanna with the final judgement being given by her own sister Ereskigal who attaches the eye of death, speaks the word of wrath and then cries the decry of guilt on Inanna. Ereshkigal then hangs Inanna’s lifeless body from a meat hook where she hangs for three days. Until the beings sent by Enki manage to slip through the gates of the underworld to find the lifeless Inanna. Ereshkigal is going through a painful horrendous birth at this time. She cries out and yet no one within her realm offers her any assistance or empathy. The beings from Enki though do. They cry with her, they howl with her, they see her for who she really is, she who gives life by forcing us to be who we really are when stripped of our pride and external sentiments/identity. Ereshkigal Queen of the Underworld is the counterpart of Inanna Queen of Heaven and Earth. Together they are the complete divine feminine. When Ereshkigal is finally seen for who she really is she wishes to give the beings who assisted her a gift. They refuse her asking instead for the body of Inanna who they then bring back to life. Inanna then has fully integrated. She has risen and returns from the underworld but a life must be given in exchange but that is a story for another time. Autumn marks the time when we are at the beginning of the Inanna myth. It is time for us to begin to make note of who we think we are and prepare to leave that at the gates of the underworld. This is an exercise that takes time and energy. It can be quite taxing so be prepared to feel the shift of what it means to be within the underworld. You have set up goals, put those plans into place and then taken action to bring them forth. What has not served you or worked well can be left within the underworld. For when you pass through those gates and hang upon the hook during the Samhain (Halloween) it will be your choice as you begin the ascent back to our world whether you would like to pick these portions of yourself up or leave them there. The power is in your hands. Realize that we never lose the waters of winter, the green wood from spring, the heat and earthiness of the summer, or the cooling breezes from fall. They are all a part of us regardless of where we are in the world and within ourselves. Coming to flow with the seasons aligns your inner being with the external world. It reminds us of the importance of balance and how our thoughts, dreams, and actions can create as well as destroy. Be mindful of where you are and what you are bringing forth. This is my prayer and wish for all of you. 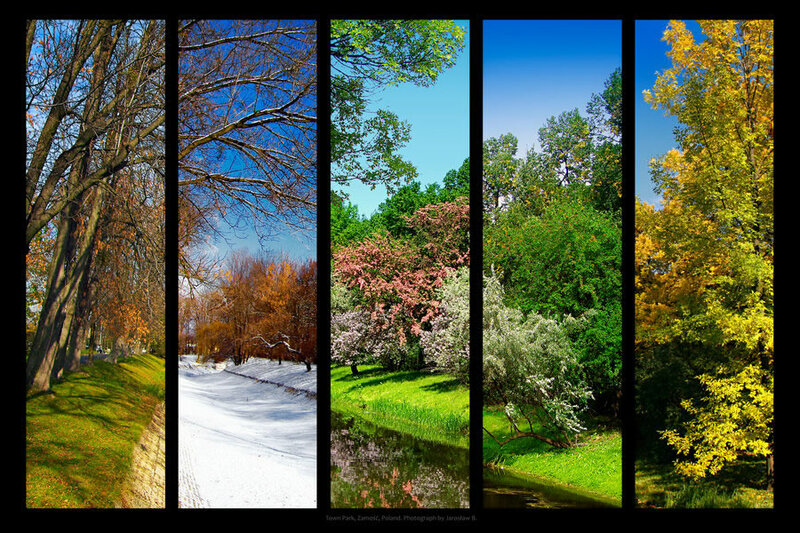 Staying Healthy with the Seasons by Eson M Hass, M.D.